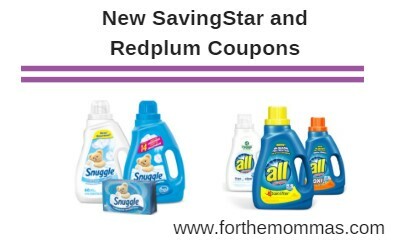 Today there is 2 NEW Redplum and 2 New SavingStar Coupons available to help you save on brands like Snuggle and all. $1.00 OFF on any ONE (1) all® product. (Excludes trial size).Expires 3/31/2019.Save $1.00.